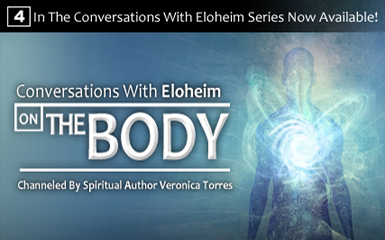 Eloheim talks about their experience in Veronica’s body and how they experience us. Recap on the topic of fear and where it goes next. A new way to look at fear. I tend to avoid drama. Am I running away from them? People who are good with business and gaining outer wealth, do they do it that way unconsciously? What about creating disease as a way to cope with the whole vibration. What if I totally realize I created it? What is the next step? How do I uncreate it? Do some of us use positive things? Core emotion question. Not only that I take things personally but I feel it’s a deadly attack. What more can I do to address this core fear because I can see how it’s affected so much of my life. My brain just isn’t functioning, my memory is going. Isn’t time collapsing? Or is time expanding? Is it likely or possible for others of us to have an experience that’s not as bad as yours? Fear of not being accepted. I’m in a float in the water and I don’t feel like I’m alone like lonely or abandoned it’s more like well how do I move the raft? Incredible confusion. 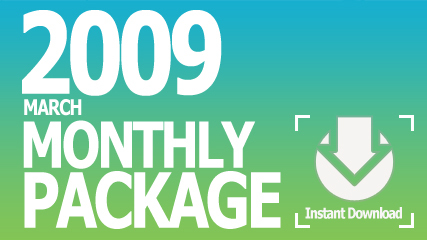 Are there going to be energetic shifts occurring that will help facilitate this growth? Does the enneagram system work? Does it help you find your core emotion? Garden time, feels like I’ve been there for a few minutes and a few hours will go by. Neutral observation is like TM. I don’t ask myself what can I learn from it. I’m having trouble tolerating being happy. I need to bum myself out. 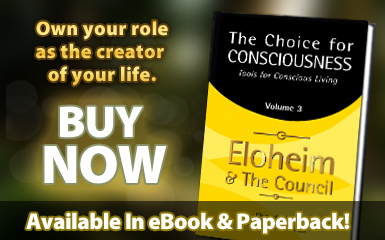 Eloheim talks about our experience and exploration as Homo sapiens using our consciousness to observe and transform our relationship to fear. Staying open to the consciousness that is rising. You cannot have change without change. Is identifying with the percentage of Homo sapiens that is left what holds us back from being able to fully experience Homo spiritus? Slept for two hours, woke up, great meditation, and then just cried. What was that? Grief? Releasing energy? Learning from watching other people’s transformation. The need to control situations. Using all the colors in the box. Participants talk about their core emotions. Why is existence set up for fret and fear? The main tools Eloheim recommends. The best way to release fears? Egotistical creating vs inspired creating. This session is a humorous look at how habitual fears degrade our quality of life. Eloheim uses two different examples to illustrate the point. The conversation then flows into an explanation of where we are on the Spiritual Journey and on the path to ascension. The new role of the light worker: Emanating balance. Perpetual motion: As you invest consciousness within, it magnetizes needs met. A discussion of the recent Tobias message: It Just Doesn’t Matter including an explanation of Eloheim’s similar concept of neutral observation. Setting boundaries. Habitual response. Living from the Soul’s perspective. Yes, becoming conscious is challenging, but habitual response is painful. Free Will and the senses. Breaking the habit of bringing the past into the moment. Releasing baggage from your cells. Using a new part of your brain. Becoming aware of your unconscious fears. 97% of the time you are in a state of emotion which isn’t applicable to the moment: We have labeled this fear. Your energetic birthright: To live in the moment. Cutting out the BS that is degrading your quality of life. You have a master’s degree in fear, let’s get on to the next course! The paradigm shift required for instantaneous manifestation. The changing relationship to time. Your decision to become conscious is affecting the world and it is absolutely none of your business how it looks. For years I heard that light workers job is to anchor high energies coming into the planet. Is that just woo-woo? Tobias piece where he says “It just doesn’t matter.” In the grand scheme of things everything’s an experience. Can you talk about that a little bit more? Is this just a variation of neutral observation? It just doesn’t matter is just kind of a mantra. Where’s the switch to turn it on and off? The mantra – it’s interesting to see how that could be used as a tool. Can’t you guys get a good copy editor? We really score with the babes cause we’re the rebels right? Expansion/contraction as you go from one reality to the other… are you getting smaller or larger? Is your frequency decreasing so you can talk to us? My fascination is how this all works biologically. How can you clear? Candace Pert has a book called Molecules of Emotion, receptor sites and how they oscillate. Rhythm and melody can change configurations. How does the emotional clearing happen? The phrase:You’re scared shitless 99% of the time. How would you explain that to people who say I occasionally have fears but not many? Fear of death – no psychoanalysis – it’s just the moment to moment fears that are taking you out of the present? How many more crayons are there? -How do we trust the emotions we are having? -What about “sleeping partners”? When romantic love vs. spiritual growth becomes a necessary choice. -Telling the truth is an act of consciousness-deep lies are embedded in fear. -All relationships can teach, but what are you wanting to learn? -Re-learning is only necessary if you choose. -The choice for consciousness does not need props;-i.e. equipment, place, environment, etc. -The ultimate act of Free Will is to align your desire for free will with your desire for consciousness;no one can make you and only you can decide to. -Consciousness has a global effect–hundredth monkey syndrome. -Spiritual Cleansing-break down the emotion-Why Why Why Why-be willing to see. -Negative self talk is NEVER allowed. -People habituate out of boredom;fill your space with neutral observation-body evaluation. -Define the stimulus of ALL emotions; happy and sad. 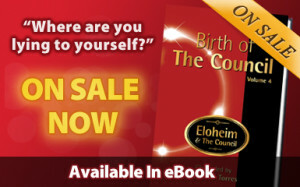 -Eloheim talks about who they are-who is present at the meeting. -We cannot tell you anything until you ask! the gate must be opened by you and your questions. -If I have FREE CHOICE, Why am I not using it?